Qween are Europe’s most authentic Queen Tribute. 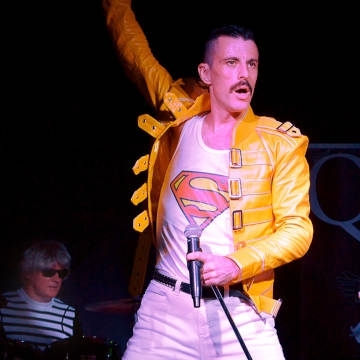 Qween’s live two hour production of Queen’s greatest hits preserves the image, sound, and stage personas of classic Queen. Queen are a British rock band formed in London in 1970. Their classic line-up was Freddie Mercury, Brian May, Roger Taylor, and John Deacon.